The community breaks with Constantinople and becomes part of the Russian Orthodox Church abroad. Divisions in the Russian Orthodox community in Europe. 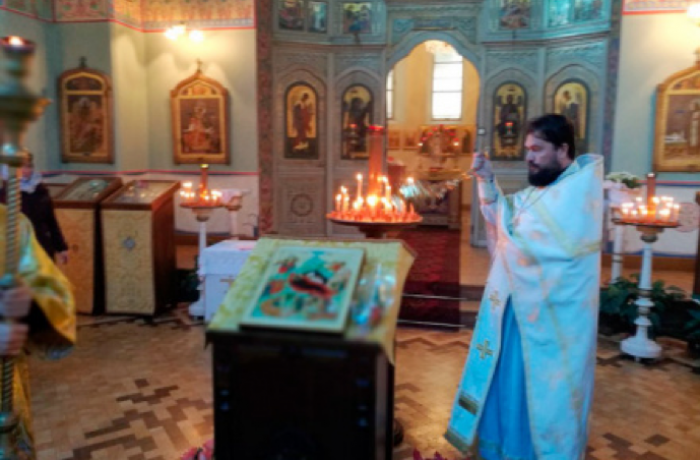 Sanremo (AsiaNews) - The Russian Orthodox parish of San Remo, whose priest Dionisij Bajkov had been suspended in recent days by the Greek metropolitan of Italy Ghennadios (Zervos), has left the jurisdiction of Constantinople to join the Russian Orthodox Church abroad, the so-called Zarubežnaja. The parish priest with the community members also invited the other parishes of the former Russian archdiocese of Europe to join the new destination. The decision by the Orthodox in San Remo comes ahead of deliberations due to take place February 23 in Paris, the seat of Archbishop Ioann of Charioupolis (Jeanne Rennetau), head of the historic community of European Russians. Following the suppression of the ecclesiastical structure, decided by Patriarch Bartholomew of Constantinople last November, all the parishes distributed in various countries of Western Europe should have submitted to the local Greek bishops. Not accepting the imposition of Constantinople, the options left to these communities and their priests have led almost all to the patriarchate of Moscow. Fr. Dionisij’s choice is a compromise, because the Church abroad was in turn reunited with Moscow in 2004, but maintained an independent administration. The community of European Russians, moreover, had formed after the revolution, when another part of the Russian refugees from the Civil War gave life to the Zarubežnaja Church. The latter spread to various countries in the world, more in the Americas than in Europe, and has its operational center in the town of Jordanville, in the United States. In the letter that Fr. Bajkov published explaining his decision he writes that the decisive push was precisely the suspension by Ghennadios and "the claims of the Greeks on our church", and the consequent lack of official reactions from Archbishop Ioann of Paris by whom the community expected to be defended. "Our parish has an independent statute according to Italian law, and has all the rights to self-determination", he states in the letter, "no external force can influence our choice". The text recounts the pressures received from representatives of the former Russian archdiocese, which on 3 February presented themselves at the extraordinary parish assembly, trying to interrupt it as "non-canonical". The parishioners, however, voted unanimously for the transition to the Russian Church abroad. 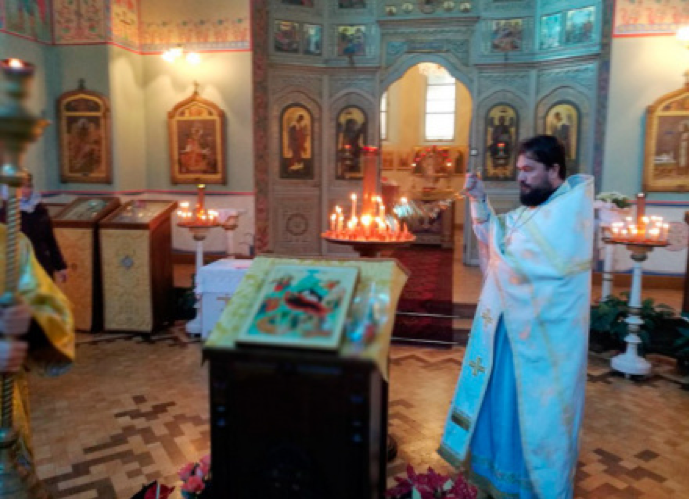 "We were very disappointed and struck by the hostile attitude of the archdiocese ... My parishioners and I sincerely hope that no one will advance more claims on our church, and that the Russian exarchate respect each person's freedom of choice", writes Bajkov . For these reasons, the Orthodox of San Remo hope to be followed by their brothers and sisters in the assembly of 23 February: "We will be able to preserve the rich spiritual culture and historical heritage of our archdiocese only by joining the Russian Church abroad". Even the parish of Florence, which had left Constantinople in recent months, has decided to join the Zarubežnaja structure. Fr. Dionisij believes that Archbishop Ioann of Paris is "subject to enormous pressure from the anti-Russian lobby existing within the same archdiocese", as he explained to journalists of the Nezavisimaja Gazeta, expressing the fear that the pressures on the community can continue. The Church of Christ the Savior in San Remo, built in 1913, until 1989 hosted the remains of Princess Elena of Montenegro, the Orthodox wife of King Vittorio Emanuele II, who were then brought back to their native homeland.